Dramatic play is an integral part of early childhood education. At Slater Torah Academy's Jewish Preschool of the Arts, we take dramatic play very seriously because we know that children learn best through play! Our JPOA classes change their dramatic play centers as the year progresses in order to teach important lessons through play. This type of play also empowers children, helping them to process and express their own thoughts about various experiences in their lives. Over the years, the Chickadees dramatic play center has been everything from a palace to a tent, a veterinarian office and a grocery store. 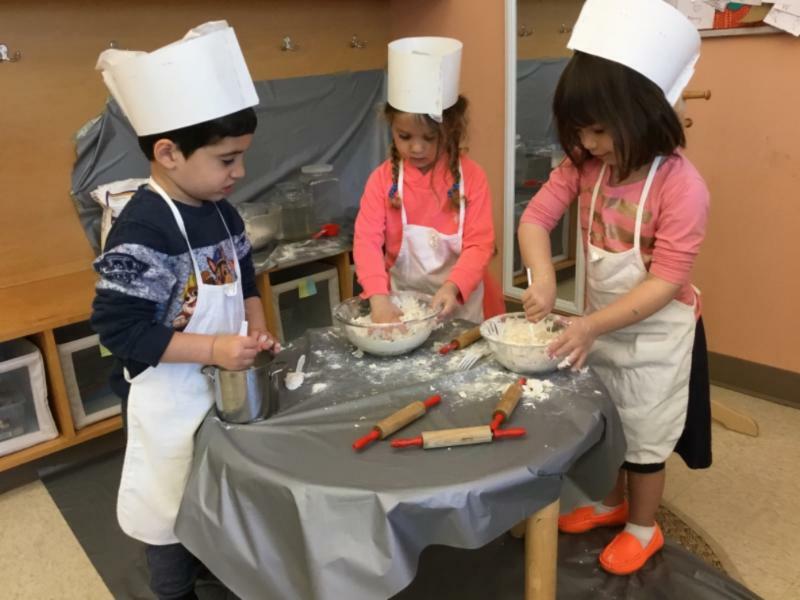 As the holiday of Pesach is around the corner, the Chickadees transformed their dramatic play center into a Matzah bakery complete with a special matzah oven, rolling pins, flour, water, aprons and hats. The students are having a great time baking their own Matzah. When they eat the Matzah at their Seders on Pesach, it will be an especially meaningful experience for them because of their experiences at Jewish Preschool of the Arts. This week, 1st-2nd graders learned how to turn simple sentences into super sentences. The students tapped into their creative sides, brainstorming adjectives, verbs and details that would make a sentence shine. Together, the class used a writing guide and their ideas to create new amazing sentences. The students found the step-by-step process helpful and fun. 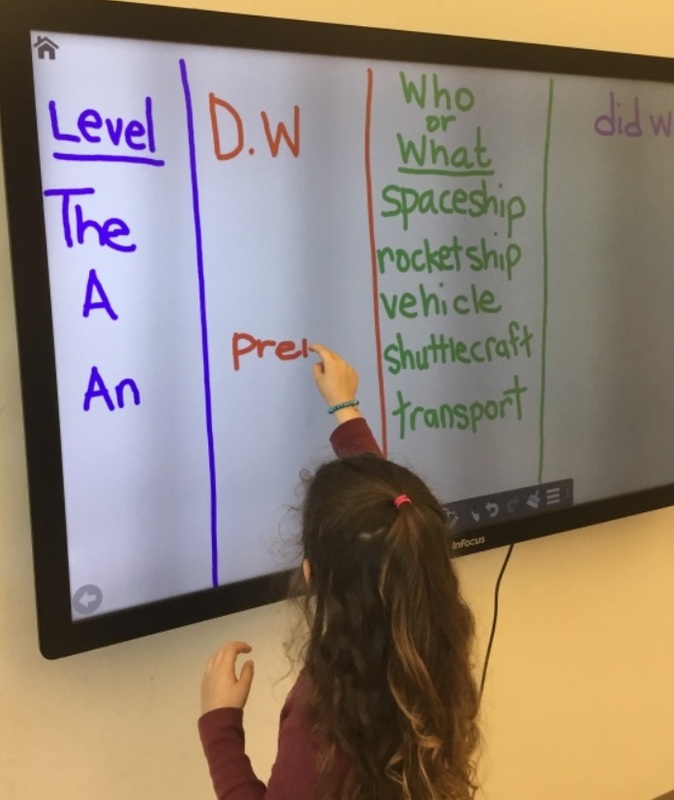 They practiced writing exciting sentences about different subjects each day. Their favorite part of the day now is reading their super sentences aloud for their friends!! The Chidon is a worldwide competition which has students learning all 613 Mitzvos from the Torah over the course of 4th-8th grade. They study this information in depth. Any student who achieves an average above 70% is eligible for participating in a Shabbaton weekend in New York City. Five students at Slater Torah Academy participated in this program and joined this incredible weekend experience in New York. Three of our students received grades on the three tests they took over the past few months that ensured them a place on stage as a representative. Representatives took a difficult test to determine the winners of each grade level and then participated in a competitive game show in front of an audience of thousands of people. A big congratulations to our very own Slater Torah Academy student, Mordechai Rivkin, who out of hundreds of other 4th graders, came in 3rd place, snagging the bronze trophy for his division in the Chidon! A big Mazal Tov goes to Morde Rivkin, Risha Nemes, Rochel Rivkin and Rivka Rivkin for participating in this amazing competition, many walking away with plaques and medals for their achievements. JFS is doing their 34th annual Passover Food Basket Distribution where they deliver bags and boxes to those in need in our community. Last year 130 deliveries to individuals and families either in nursing homes or living independently in the community were made. Slater Torah Academy students have been contributing handmade items towards these baskets for the past couple of years. This year, together with their art teacher, Ms. Denise Brown, the students decorated beautiful cloth Matzah covers, making almost 70 covers to send to people in need. One of our school's core values is about instilling values. The students put a lot of effort into these covers even though they were not going to be able to keep them. This enthusiasm by our students in the Mitzvah of Tzedakah is part of what makes our school such a special place. At a well-attended event on Tuesday, dads of Slater Torah Academy came to school for a special program with their children. The program, Donuts for Dad, which happens annually at Jewish Preschool of the Arts, is an important part of our school culture where the Torah Academy Family is one of our core values. The school community impacts not only students but staff members and parents as well. We believe that the partnership between parents and school is an integral part of the children's educational success. After an adorable presentation by the students, where they sang some father's day songs, everyone was entertained by Daniel Yehudah, who is visiting New Orleans as part of Amiel Bakehillah. He performed and taught a few magic tricks using cards and string, interspersed with classic Hebrew songs which he sang and played on his guitar. We can't forget the donuts. Everyone enjoyed chocolate donuts and refreshments after the performance was over. It was wonderful to see many dads stick around afterwards schmoozing with each other and watching their children play on the playground. Thank you Morah Lina Warshawski for coordinating this wonderful program! The Parents Organization at Slater Torah Academy sponsored Pony Rides as part of the festivities of Purim Spirit Week. A famous part of the story of Purim is where Haman is forced to march while leading Mordechai on the King's horse saying, "Thus shall be done to the man whom the king wishes to honor." The students got to experience what Mordechai felt like on top of that horse! The Patrick Taylor Award is given to students who maintain a GPA of 3.5 and higher to students in 7th grade-11th grade. We congratulate our entire eighth grade class on receiving this award. The award comes along with a year's membership to all Audubon attractions for the student and two adults. Slater Torah Academy students spread the excitement of the Purim holiday on their recent trip to Sunrise Senior Living. Led by Mrs. Charlene Gubitz, their music teacher, they sang many traditional and new Purim songs such as "P-U-R-I-M and Purim is it's Name-O" and in Hebrew "Chag Purim, Chag Gadol Layehudim". They participated in a craft together decorating Purim masks. The students distributed Mishloach Manot packages that they packed especially for their friends at Sunrise.